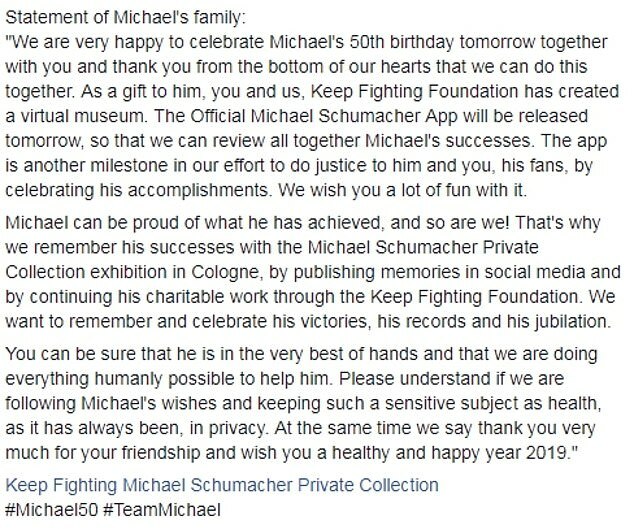 Michael Schumacher's wife has issued a rare statement thanking fans ahead of the German driver's 50th birthday tomorrow. Corinna Schumacher told her husband's fans that 'we are doing everything humanly possible to help him' as he battles to recover from a devastating ski accident in France in 2013. 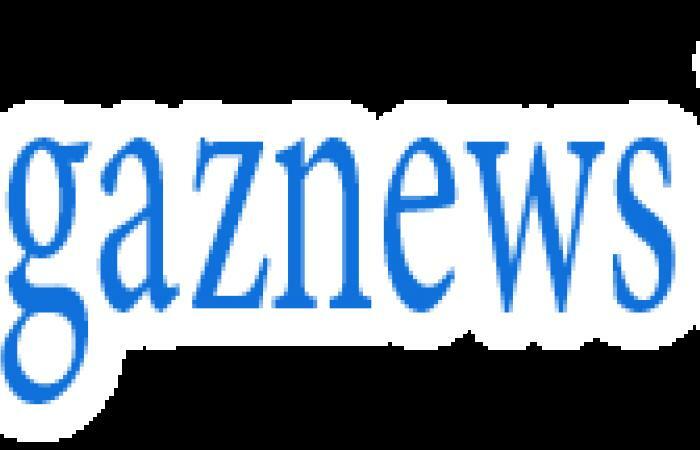 The 49-year-old also said the family will celebrate the former Ferrari driver's 'victories, records and jubilation' as he turns 50 on Thursday. 'You can be sure that he is in the very best of hands and that we are doing everything humanly possible to help him,' a Facebook statement said.